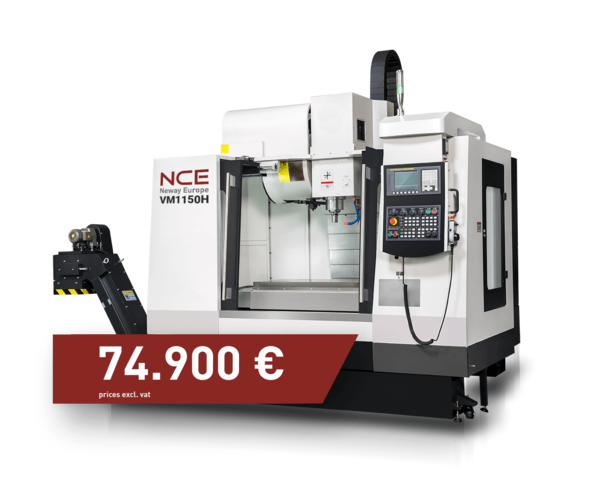 What applies to NCE in general of course also applies to our special offers: High precision, unbeatable performance for an unbeatable price combined with short delivery times – in short: Customer requirements are the most important aspect for New CNC Europe. The VM 1150 H with Siemens controls has a spindle with 12 000 rpm BT40, linear track and Renichaw sensing device, a solid cast iron stand, directly driven feed axis and a completely lockable protective cover. Delivery times are only 4 months and yet you can have this all for an absolute special offer price!